We have been absolutely delighted to win a clutch of awards in 2017 and 2018. Judges comments: "A light well balanced pudding with a deep dark toffee colour and a good aroma with plenty of flavour, lots of butteriness and good pieces of date." Judges comments: "A discernible ginger aroma with syrup oozing out. The appearance is good. We enjoyed the flavours - the sauce with the little pieces of ginger is delicious. A light textured sponge with a rich gingery toffee sauce. Good buttery, warm ginger flavour. Moreish." Judges comments: "Generously covered with a shiny sauce and chunks of pecan. The sponge was light, buttery and sweet with rich date flavour. The sauce was toffee like with hints of treacle." Judges comments: "A good caramel aroma with a great level of burnt sugar and delicious buttery notes. The brandy level is excellent. Perfect with ice cream or pudding. Spot on!" On a wonderful, glitzy evening we could not believe it when our name was called for Best Food Product. 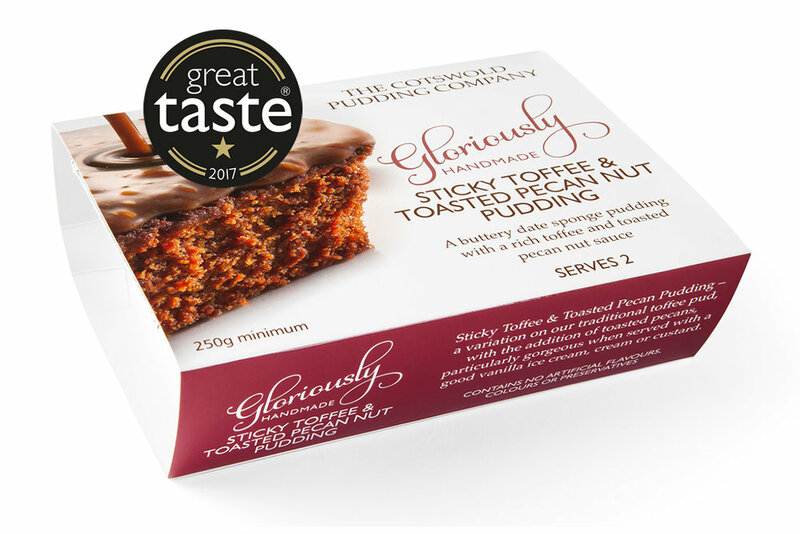 Our gluten- free puddings have been such a big hit with our customers, it was so exciting to receive such an accolade. 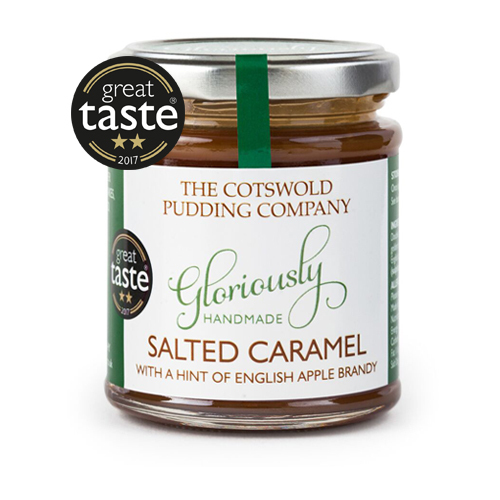 The Cotswold Life Food and Drink Awards, Best Food Product.